The Cassette Wall or Ceiling mounted systems are ideal when you have limited space in your room, office building, or shop. The air is generated in the typical way, however delivery to the room can be via a 2 way or 4 way roof mounted cassette. 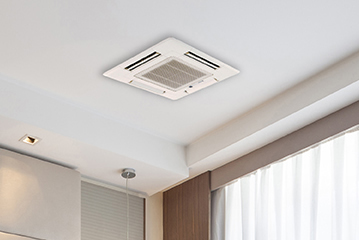 If you are after a more discrete and sleek look, there are two new mini cassettes available, the 1 way slim and the 4 way slim cassette air conditioner units. When combined with a multi-head unit, there are many options for what indoor units can be combined and in what fashion. We can help you find the right combination to suit your lifestyle. Have a look at the Mitsubishi Electric cassettes and consoles available, then contact Redsell Air for a FREE QUOTE! With Redsell Air you have peace of mind knowing we only use quality materials and installation is to the highest industry standard. 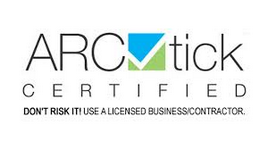 We are so confident that all our new installations are covered by our 5 year labour warranty.